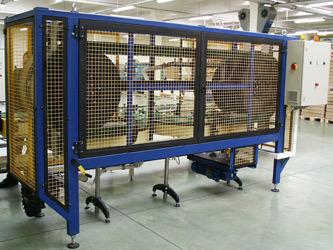 Overturnes are designed for cleaning glass products’ interiors from dirt like flour, glass particles, dust and other scraps. 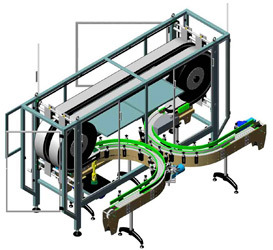 Glass products are taken from production line by arch conveyor and passed into overturning system (with constant time distance, set fluently on divider). 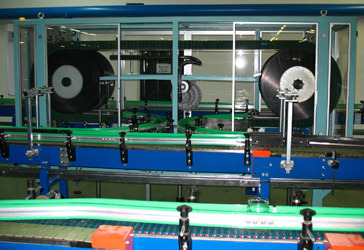 Glass products are overturned and passed over demister nozzle, where purification process takes place. Demister nozzles are supplied with compressed and filtered air from fan.